Photo credit: Mike Swtizerland via Wikimedia Commons. Spider venom may provide new hope for the at-risk Tasmanian Devils –and no it won’t turn them into web-slinging superheroes. The Tasmanian Devil, an iconic Australian species and the feature of many a Looney Tunes episode, is under threat from a serious disease called Devil Facial Tumour Disease (DFTD). Around 80% of the population has been wiped out since the disease was first found in 1996. What is DFTD and more importantly, how does it work? DFTD is a scary disease for multiple reasons. One is that the disease is a form of transmissible cancer, and this is only known to occur in two other species: dogs and some bivalves. Another is that we don’t know where it came from or what caused it to appear. But what we do know is that it has no known treatment and is always fatal. Spread through bites during fighting, feeding and mating, the cancer is quickly transmitted between individuals. The tumours usually grow in and around the devil’s mouth, preventing it from eating and as a result devils die from starvation as well as other factors. It’s a pretty grim picture for our Tassie devils. Will another Aussie animal be able to save the day? Photo credit: Steve Penton via Flickr. 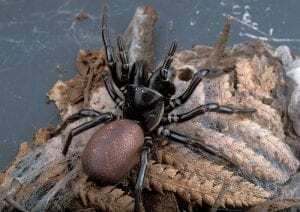 Enter the funnel web spider. The Darling Downs funnel web spider is found in New South Wales and Queensland (and in my nightmares). These spiders produce toxic venom and researchers have used this venom to extract a peptide called Gomesin. This has been done before with South American spiders but it is the first time it’s been extracted from Australian spiders for the purpose of killing cancer. This Gomesin peptide has been found to essentially ‘kill’ DFTD cells by necrosis (aka the death the cells). Photo credit: David McClenaghan (CSIRO) via Wikimedia Commons. Gomesin had been previously tested on human melanoma cells and had highly effective results. When the peptide was tested on DFTD cells, equally exciting and successful results followed. Even better, while the peptide killed the cancerous cells, it didn’t have much of an effect on the healthy cells. Could Gomesin be a silver bullet for DFTD? Unfortunately, we’re still a long way from that. While the use of funnel-web derived Gomesin has produced exciting results this is not a cure. 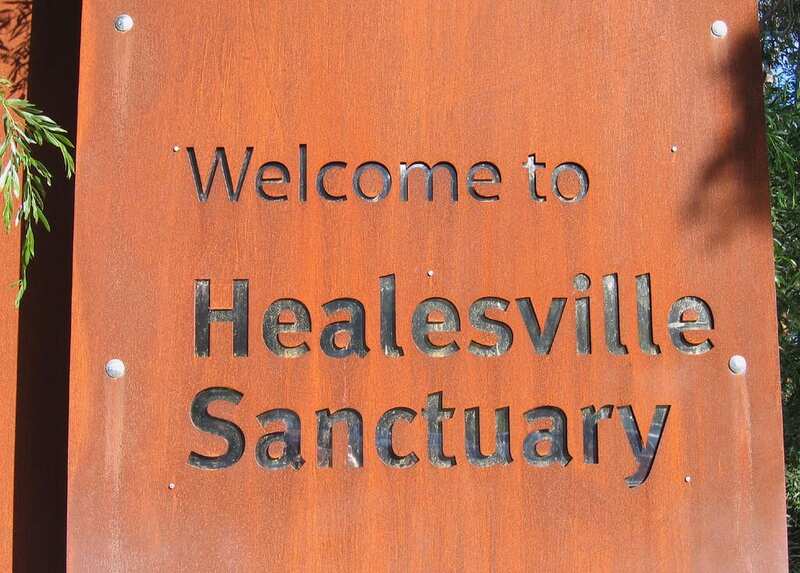 So while scientists continue to look for a cure, conservation efforts for the remaining healthy devils, such as captive breeding, must be paramount. 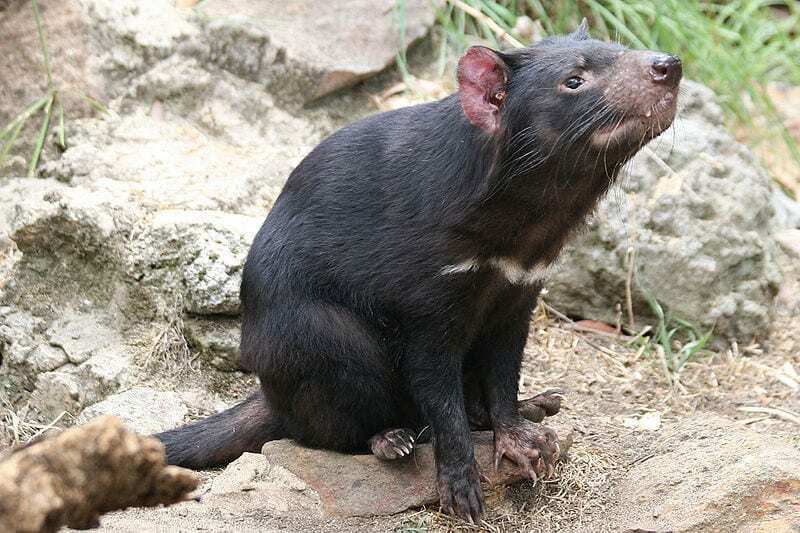 The race is on to stop the Tasmanian devil from disappearing from Tasmania forever. Photo credit: Steel Wool via Flickr. Want to help save the Tasmanian devil? Previous Previous post: Scoby Dooby Doo, where are you? Next Next post: Would you pay Big Bucks for a bowl of Bird saliva? great post lauren! 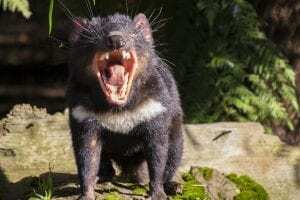 i didn’t know about dftd or that it was affecting tasmanian devils!